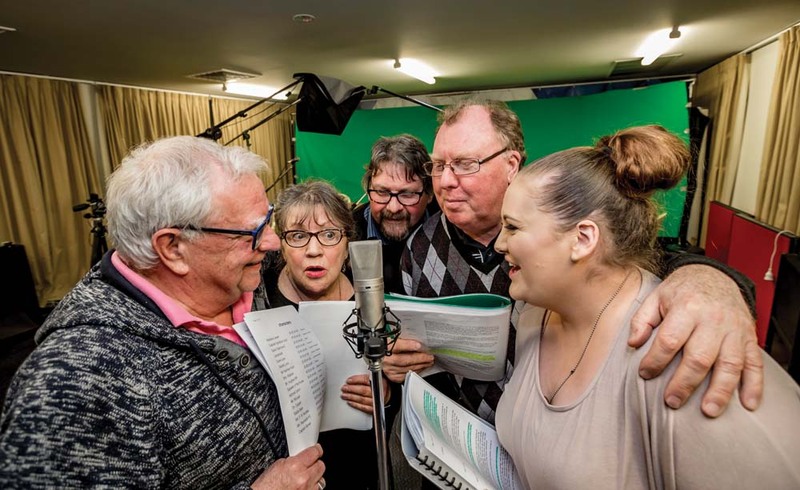 A SERIES of radio plays being aired on RPP FM – the Voice of the Peninsula – will give listeners insight into happenings that helped shape and define their community. Produced by Heather Forbes-McKeon the plays recount historic and often tragic events that occurred on the peninsula over the past 220 years. Titled Time Capsules, and researched by playwright Steve Wheat, the 10 plays produced at the studios at Wilson Road, Mornington, run for 10-15 minutes. They are: 1803 The First Colony, 1852 The Ticonderoga, 1882 The Footy Team that Drowned, 1887 The Crashing of the Cheviot, 1939 The Burning of Dromana, 1914 The First Shot, 1938 Arthurs Seat Crash, 1940 The Goorangai Incident, 1967 The Day We Lost Harold Holt and 1952 (1840-1970) The Quarantine Station. The plays centre around modern-day reporter Melanie Lewer (Deakin University drama student and actor Grace Hart-Davies) who travels back in time to give listeners an eye-witness account of each event as it unfolds, and interviews people – characters in the plays – who were there. Ms Forbes-McKeon, a former presenter on a theatre and film based weekly program on RPP FM, and who taught drama at Frankston High School, said the plays came about when station manager Brendon Telfer asked if she would be interested in producing a series of radio plays based on the Mornington Peninsula. She called on Steve Wheat, who has written plays and skits for television, theatre and ABC radio. He came up with the idea of producing the plays based on Mornington Peninsula historic events, and who also directs the plays in rehearsal and recording. Ms Forbes-McKeon gathered together a group of local actors who regularly appear on local stages; some are professional actors working in film and television. They include Steve Bastoni (Australian and Hollywood actor and the man behind the Peninsula Film Festival), Pixie Jones (whom she dubs the Helen Mirren of the peninsula theatre scene), Rob Lister (who was short listed for best actor in the Victorian Drama League this year), and Matthew Kosub, a former Frankston High School student who is now a professional actor. They are joined by actors and directors from local theatre groups “who could be relied upon to deliver the goods”. 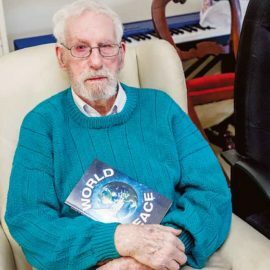 Creating the plays’ sound effects and theme sound track is “technology wiz” and former teacher John Annable, a playwright and musician who wrote and produced plays at Dromana Primary School for many years. Steve Meyers, the station’s sound engineer, works in recording and post-production of the plays which are being recorded each week. 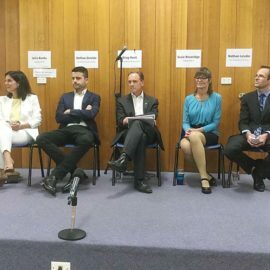 “It has been a fantastic experience for all involved,’ Ms Forbes-McKeon said. “All of the plays are intensely dramatic but some more so than others. “For example, the play The Footy Team that Drowned set in 1882 was a moving play for all involved. In the scene where the recovered boat is towed back to Mornington pier, Steve asks the actors to call out as though they are waiting desperately for a beloved son, brother, or friend to return in a way that captures the feelings of the moment. Plans are under way to include the plays as sound installations at historical displays and museums to enhance the stories they already tell. “Radio plays are a wonderful and unique medium for bringing past stories to life,” Ms Forbes-McKeon said. The plays will be available as podcasts later this year.